The United Nations Sustainable Development Goal (SDG) 7 calls for universal access to affordable, reliable and modern energy services by the year 2030. 1.1 billion people worldwide still have no access to electricity. That’s nearly equivalent to the U.S and European population combined. The International Energy Agency (IEA) predicts that, unless electrification efforts are further accelerated, by 2030 a total of 674 million people will still be without access to electricity. Though these numbers seem daunting, bold ideas are rapidly driving successes across the globe that show the SDG 7 goal is attainable. New initiatives including government programs, innovative business and financing models, new technologies that enable digital tracking and monitoring of energy assets, and locally-based training programs–are ushering in a new era of access to energy. 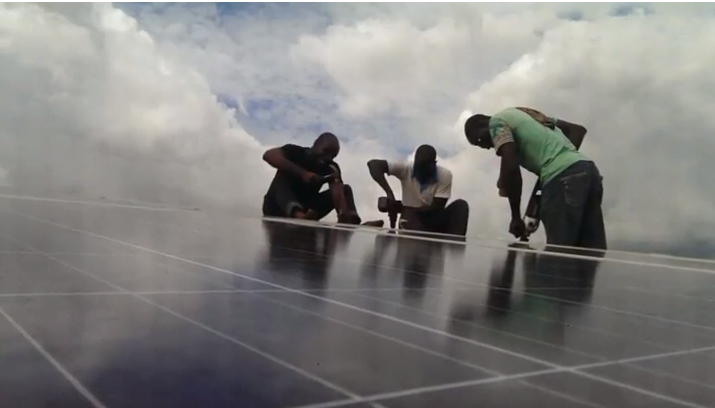 For example, in Bisanti, Nigeria, Green Village Electricity (GVE) Projects Limited, a local partner of Schneider Electric, successfully commissioned a 24kWp microgrid solar plant. This project was made possible through a concessional funding scheme- a loan extended on terms substantially more generous than market loans, with longer grace periods. This loan was offered through the Bank of Industry, backed by the United Nations Development Program. The project impacts the lives of many people including; 7,000 people directly, 500 people indirectly through the cottage businesses and street lighting components, and 200 residential and commercial clients who have access to electricity for the first time. The results of these projects can be life-changing. For example, a resident of Bisanti explained how this microgrid solution has impacted his life: “Before now, I spent about 450 naira (about $2.25 USD) daily for three liters of fuel, but now I spend about 200 naira for better value. I have longer hours of electricity, without generator noise and fumes. My children can read in the evening, after school. I do not travel to charge my cell phone, which allows me to spend more business hours at my shop. The benefits are too many to count. Compared to how much I spent on fuel and alternative sources before GVE came to our community, the service is really affordable”. Governments are embracing reforms that encourage a wide range of technology solutions and business models to enable the development of more access to energy projects. 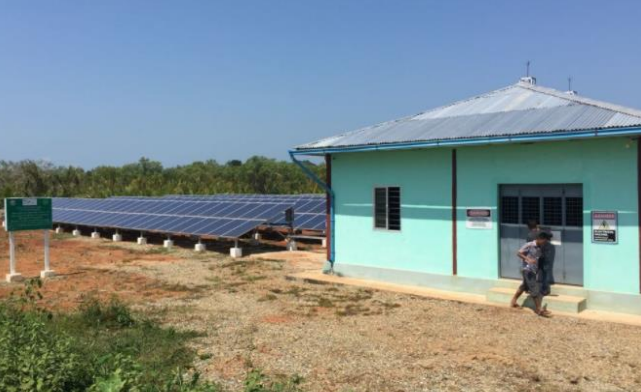 Success increases exponentially when barriers to new entrants are eliminated and when suitable conditions for off-grid investment are encouraged. $45 billion is needed annually to achieve universal electricity access by 2030, yet $19.4 billion is the average annual commitment from countries most in need of electrification. 70% of this spend should be for decentralized renewable energy, yet only 1.3% is dedicated to decentralization. This is a significant gap. To accelerate funding, a transition to more private and commercial capital is needed. Government subsidy schemes should be modified to enable a transition to more sustainable and less costly projects. Funding options should lower both the cost of capital and the price that local residents pay for energy. Efforts are underway to diversify from government subsidy dependent projects to more blended capital schemes, including private and commercial scenarios. This increases the variety of funding pools and makes new Access to Energy business models more attractive. Risks are spread across more stakeholders and benefits multiply as electrification brings more prosperity within the local economy. New funding mechanisms that include microfinancing, microleasing, remittances, crowdfunding, and pay-as-you-go on mobile platforms are emerging. These new approaches mean that financial stakeholders assume a lower risk when investing in access to energy projects. New energy consumers are now serviced by low-cost solar home systems, for example, and have more cash on hand to pay their energy bills. With automated billing and collections processes, financial stakeholders experience a much lower risk of payment default. The virtuous cycle of microgrid energy systems with lower CapEx and lower OpEx helps to generate higher revenues for local energy providers. This, in turn, attracts more financial interest which then allows more access to energy. As a result of the new energy supply, the local economy begins to grow. Schneider Electric has already installed over 350 stand-alone off-grid electricity systems (with a capacity of <4kWp) and 600+ microgrids in off-grid areas worldwide (equivalent to over 23.5 MWp of power) over the past four years. Momentum is building. First, a 4x increase in delivery of Access to Energy-related program products – Examples include individual lighting, individual and collective electrification, energy services and training equipment and training contracts. Second, the training of 350,000 underprivileged people in energy management – We plan on enabling these populations to acquire the skills needed to pursue an energy career that offers them the means for a decent standard of living. To learn more about how Access to Energy programs can achieve success, download our new white paper “How New Regulatory, Financial and Technology Bold Ideas Can Grow Microgrid-driven Access to Energy”.